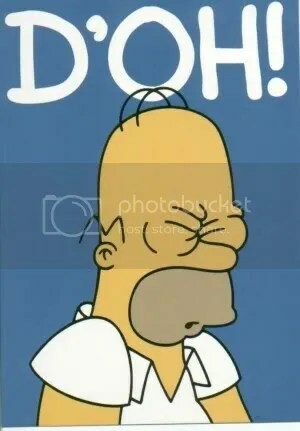 O's "O" is More Like "D'Oh!" The O’s suffered their first series loss of 2011 over the weekend, dropping the final two against the Texas Rangers. While there is no reason to hang your head over losing a series to the defending American League Champions, the way the O’s went about the series is a bit disconcerting nonetheless. I’m speaking, of course, of the fact that the team managed just a single run over the series’ final 23 innings. They scored the last of their five runs in their Saturday afternoon win in the third inning, then managed just a lone score in the nightcap before being shut out completely on Sunday. For all the talk of the key to this season being the continued development of the young pitching (it is), and of how this year’s O’s lineup is such a vast improvement over any in recent memory (it is), this team needs to start hitting – and soon – or all those warm feelings stemming from the 6-1 first place start will be nothing but a distant memory. This team is putting the “0-for” in “Orioles” right now, that’s for damn sure. Come on Birds, let’s break out those bats. This entry was posted on April 11, 2011 at 11:47 am and is filed under Orioles. You can follow any responses to this entry through the RSS 2.0 feed. You can skip to the end and leave a response. Pinging is currently not allowed.